– What is the capital of your country? Which language do you speak? Bangkok is the capital city of Thailand. Its real name is “Krung Thep Mahanakhon Amon Rattanakosin Mahinthara Ayuthaya Mahadilok Phop Noppharat Ratchathani Burirom Udomratchaniwet Mahasathan Amon Piman Awatan Sathit Sakkathattiya Witsanukam Prasit.” It’s the world’s longest city name. Thai is the official language. – What is the food speciality of your country ? 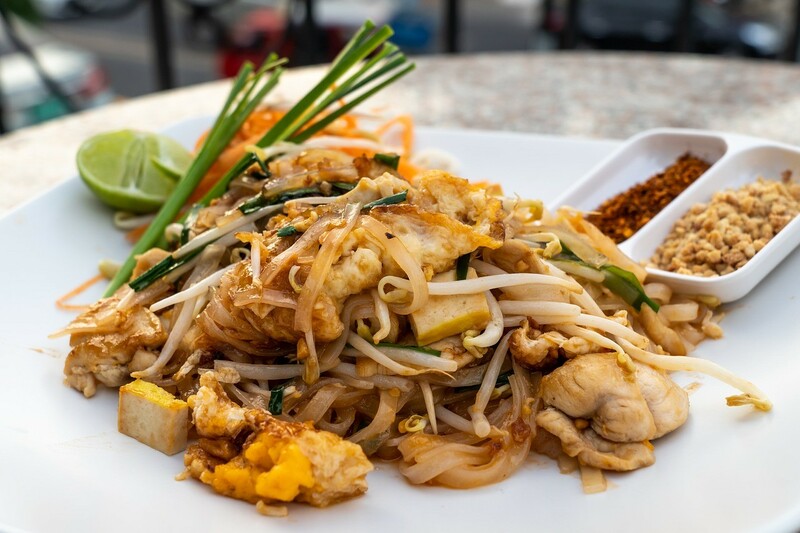 Some famous dishes are Pad Thai (Thai style fried noodles, Tom Yum Goong (Spicy shrimp soup) and Som Tum (Spicy green papaya salad). There are lots of Thai restaurants in London where you can enjoy the food. 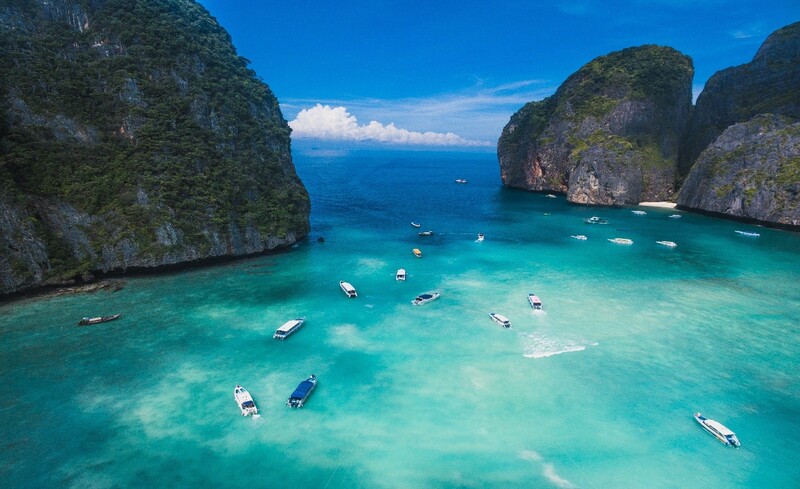 Thailand is a tropical country located in Southeast Asia. The most famous national sport is Thai boxing (Muay Thai). Thailand is well known for its beaches, great food, floating markets, night life, ancient ruins in Ayutthaya, traditional massage, fullmoon party, etc. If you are in Bangkok, I recommend to visit Wat Arun, Wat Pho, the Emerald Buddha Temple (Wat Phra Kaew) and Jatuchak Weekend Market where you can buy cheap clothes and shopping. Some nearby beaches are Pattaya and Hua-hin. It only takes 2-4 hours from Bangkok. 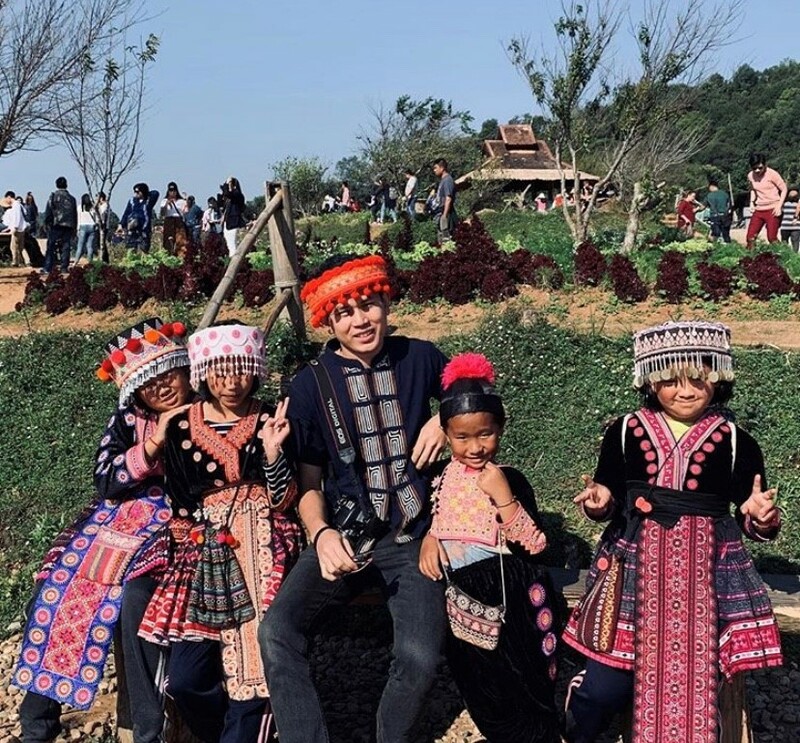 If you go up north, Chiang Mai and Chiang Rai are you best options. There are plenty of things to do. You will be surrounded by mountains and nature. For those loving beaches, the south is the answer. 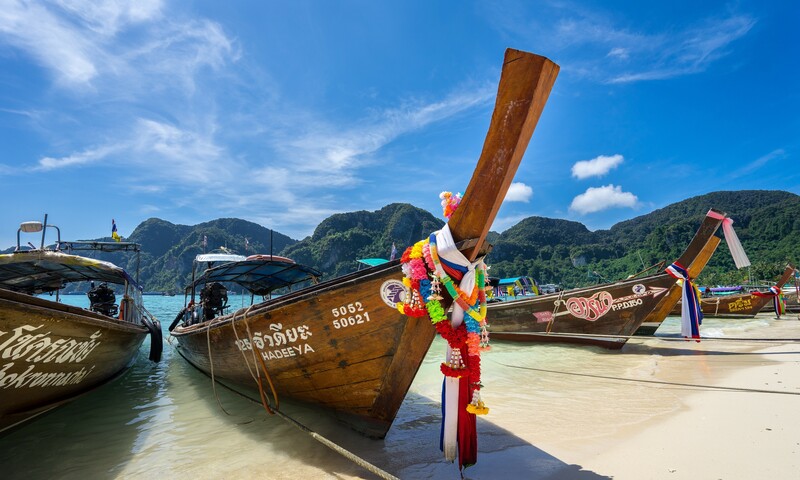 Krabi, Phuket, Phi Phi Island, Patong, Similan islands are renowned tourist destinations. – Are there any superstitions in your country? Yes, there are many superstitions in Thailand. The following are some examples. If your right eye twitches, it means something unpleasant is going to happen to you. On the other hand, if your left eye does, you will be lucky. If you hear somebody calling your name from outside in the middle of the night, just ignore it: it is believed to be a devil spirit attempting to get into your place and haunt you. Never get your hair cut on Wednesday because you will be unfortunate. If you see a snake in your dream, you’ll find your love one very soon. Have you ever heard of Songkran before? If not, I’ll briefly give you some information. Thai traditional new year annually falls on 13th-15th of April. It is the hottest time of the year and also a great time to visit Thailand. The celebration can take place 3-10 days depending on which area you are in. Family and friends usually gather to spend time together and pay respect to the elderly. Some go on a holiday with their love ones and visit the temple for making merit which is believed to bring good luck to them. The highlight of this celebration is water splashing where you can throw water at your friends and others by using your water pistol or bucket of water. If you are visiting Thailand during this time, please prepare to get soaked up! – Why did you come to the UK? What do you like the most about London? Studying English is my main reason to come to the UK. Apart from that, the UK is one of my dream destinations. What I like the most about London is its diversity, for example, food, places and people. You can try food from different parts of the world. There are various things to do, places to visit every day. And you can meet new friends from many nationalities as well. I also love my school with its lovely staff, location and professional teachers. I must say I enjoy studying every single day. ← We are glad to introduce you our amazing teacher: John!